Exploiting the mulching properties of volcanic cinders blasted out of Sunset Crater, the Hisat’sinom grew corn and cotton, made and traded fine cotton cloth and decorated ceramics, and imported exotic goods like turquoise and macaws from hundreds—even thousands—of miles away.From clues as small as the tiny fingerprints left on children’s toys, postholes in the floors of old houses, and widely scattered corn fields, archaeologists have pieced together an intriguing portrait of what childhood was like, the importance of weaving cotton cloth, and how farmers managed risk in a harsh environment. 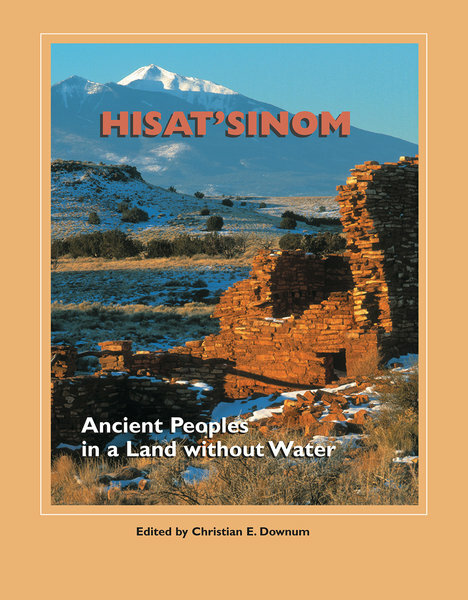 At its peak in the late 1100s, Wupatki stood as the region’s largest and tallest town, a cultural center for people throughout the surrounding region. It was a gathering place, a trading center, a treasury of exotic goods, a landmark, and a place of sacred ritual and ceremony. Then, after 1200, people moved away and the pueblo sank into ruin. Download an excerpt, and/or a full color section. Kelley Hays-Gilpin and Donald E. Weaver Jr.